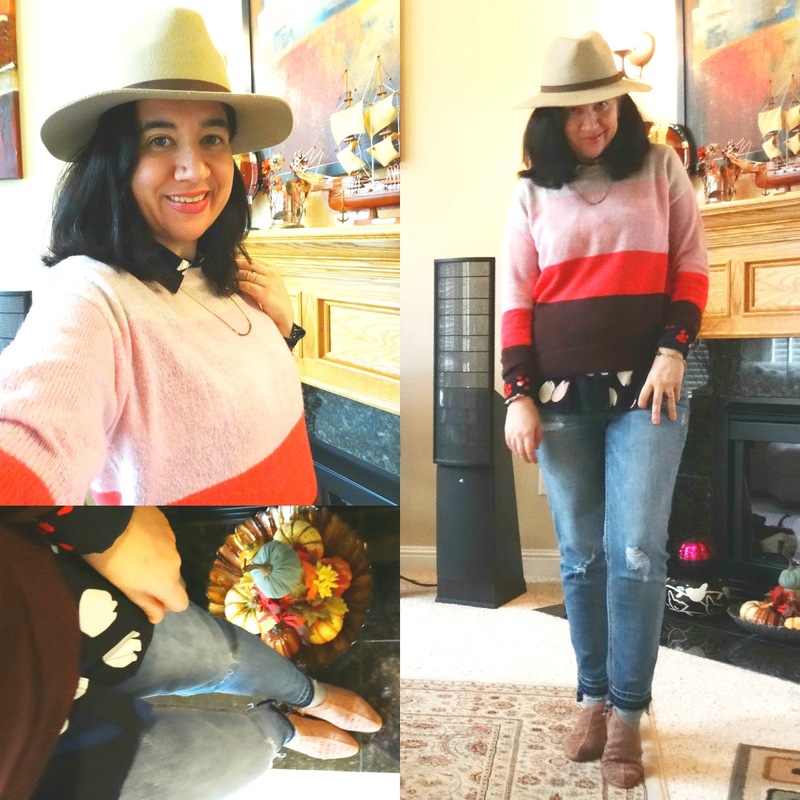 Colorblock Sweater and Tulip Blouse + the last Common Threads Linkup. 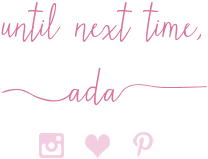 I am so behind with the blog, guys - story of my life, right?! I wore the last two outfits of the Common Threads Challenge the day before Halloween but I have yet to post about 10-12 outfits or so. My goal is to have everything posted by Friday next week, at the latest. So, expect some two-outfits posts in the next few days, here. 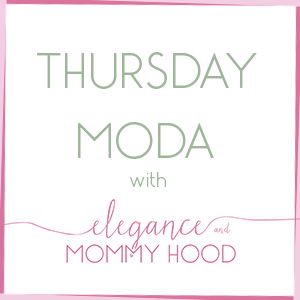 Today I am sharing the prettiest Colorblock Sweater: in very pale baby pink, blush pink, coral and maroon which I purchased a few weeks ago at Loft. I made an effort to wear more pink towards the second half of October, to honor Breast Cancer month and this beautiful Colorblocked Sweater (in dusty rose, baby pink, coral and maroon) definitely filled that pink void. This sweater by Loft purchased recently is sold out online (however on the widget below, I linked a similar Loft sweater you can shop, currently). My Colorblock Sweater is actually on sale and you may still find it at your local Loft store. It is a very light but soft (not itchy) wool and it runs pretty roomy. I am wearing an XS. This Beautiful Tulip Blouse (with reversible sleeves) was purchased last Winter, also at Loft. The sleeves and collar has a different smaller floral print layered underneath. I love these chic, go-with-everything classy blouses at Loft. They are called "The Utility Blouse" and have these capped square pockets on the chest (on each side). At any given season you can find blouses like this at Loft, in different solid colors as well as in florals like this small floral periwinkle beauty or this olive+pink floral print which I would love to add to my collection - both of these Floral Blouses by Loft are on clearance currently, with an additional 40% OFF. This outfit was easily put together with the addition of these Gorgeous Mauve Perforated Suede Booties and my Medium Wash Step Hem Jeans - both of these pieces were part of my 5 items from The Common Threads Challenge. Layering a collared blouse or shirt underneath a crewneck sweater and wearing it with jeans, cropped pants or trousers on the bottom (depending on where I am going), is another type of Fall Uniform for me. I hope you like it, what about you? !